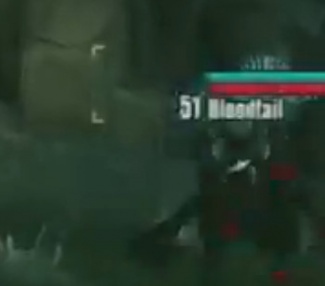 Bloodtail is a unique (Named) enemy in Borderlands 2. You have to use Pheromones to lure it out from its lair. This page was last modified on 15 January 2013, at 14:47. Content is available under Creative Commons Attribution Non-Commercial Share Alike unless otherwise noted.